It’s no secret that many factors can cause hair loss and damage: changes in climatic conditions, temperature differences, and the use of a hairdryer, “irons,” curls, curling irons, and various chemicals. If you notice that your hair has become too thin, fragile, dull and curled, then most likely they need extra care. In most cases, it is possible to restore the damaged hair at home with the help of natural remedies. Therefore, in today’s article, we will tell you which vegetable oils will help to restore beauty to your hair. Avocado oil contains a massive amount of nutrients, essential amino acids and fatty acids and vitamins (A, B, D, and E). This oil helps to strengthen the hair and restore its natural shine, and it is just the perfect way to moisturize the hair and make it soft and silky. Castor oil is generally known as a means of promoting rapid hair growth. But this is not its only beneficial property, and it also moisturizes, softens, strengthens hair and fights split ends. 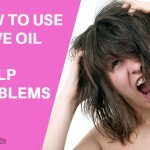 Thus, regular use of castor oil (for hair roots and the tips, as well as the scalp) will help to restore the life of dry hair. Olive oil is widely using in the beauty industry, including for the care of damaged hair. It is an excellent moisturizer and natural antioxidant. It strengthens the hair, makes it more elastic and robust (as it penetrates deep into their structure and nourishes), and also helps to get rid of dandruff. With regular use, you can even slightly lighten your hair because olive oil contains natural peroxides. Rosemary oil is perfect for stimulating hair follicles; that is, it promotes hair growth and prevents hair loss. This natural oil slows down the appearance of signs of prematurely graying hair. Almond oil provides the hair with necessary nutrition, makes the hair perfectly smooth and shiny. 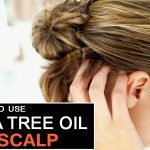 When applying almond oil directly on the scalp, it can reduce itching (if present), and also improves blood circulation, which is also very good to prevents hair loss. Coconut oil is lighter compared to the other oils. It is one of the best natural oil whose effectiveness has proven scientifically. Coconut oil penetrates deep into the hair, nourishes from the roots to the tips and restores their structure, providing the necessary protein. Pour a few amounts of coconut oil into a suitable container and add hot water. Put on a shower cap and leave to act for 20 minutes. After that, wash your hair with your usual shampoo and conditioner. Argan oil is produced by squeezing argan seeds. This oil is considered to be one of the most useful and very valuable. It is even called the “liquid gold of Morocco.” Argan oil is rich in vitamin E and omega-3, omega-6, and omega-9 polyunsaturated fatty acids, which will help to restore your hair’s beauty and health. Apply a few drops of argan oil to damaged hair. It will help to get rid of split ends and give hair strength and elasticity. Apply argan oil to the hair roots and leave for about 25 minutes. After that, rinse your hair with your regular shampoo. 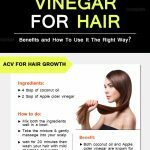 How to Use Apple Cider Vinegar for Hair?